Shane Mardjuki’s entertainment career began when, fresh out of NS, he bought himself a truck and made himself useful by becoming a driver for Act3 Theatrics. Not one to stay unknown for long, he was soon cast in theatre productions such as The Snow Queen, O Rats the Pied Piper and The Gingerbread Man (nominee of Best Ensemble Cast in Life! Theatre Awards 07). He was last seen in the theatre production titled "The Rise and Fall of Little Voice" by Pangdemonium, “High Class” and “Army Daze” written by Michael Chiang and directed by Beatrice Chia. “Othello” and "The Pillowman" by The Singapore Repertory Theatre and "Lord of the Flies”, directed by Samantha-Scott BlackHall for Escape Theatre. His latest production include a lead role on What The Butler Saw, an award-winning comedy that knits together dysfunctional family relationships, laws of attraction, notions of sanity, identity and authority in an exceedingly comic fashion. Not forgetting Victor Victoria where he’s cast alongside international jazz sensation Laura Fygi! Shane Mardjuki made his first screen debut as one of the bachelors on Eye for a Guy 2. He was last seen hosting Channel 5's Spell Cast and Beyond The Physical. You might catch him on some of the TV interstitials and trailers like Ch 5 Menuboard, Sony HD TV, Stories of Love 2 and Chitty Chitty Bang Bang the musical, and even on TV ads for Tiger Beer, OCBC, Brands and Minute Maid to name a few. TV audiences would have witnessed the versatile actor in many leading roles like the troubled and opressed “David Tay” in Mediacorp Channel 5’s science-fiction mystery thriller series 2025, the quirky and offbeat “Mark” the professor in the comedy Shy Guys as well as the “perfect guy” “Shahid” in Suria Channel’s Mr Perfect. Shane was also seen regionally in HBO Asia’s original horror mini-series Grace as Nelson who loses his bride tragically on their wedding night. Shane returns to Suria in the comedy 93m2, as “Zaidy” playing one half of a wacky couple in a comedy about relationship issues and the extent that couples go to just to outwit each other. 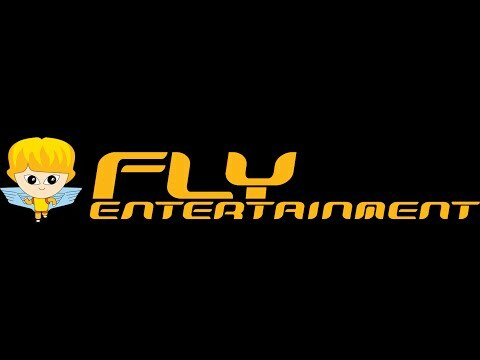 Shane is proudly represented by FLY Entertainment.